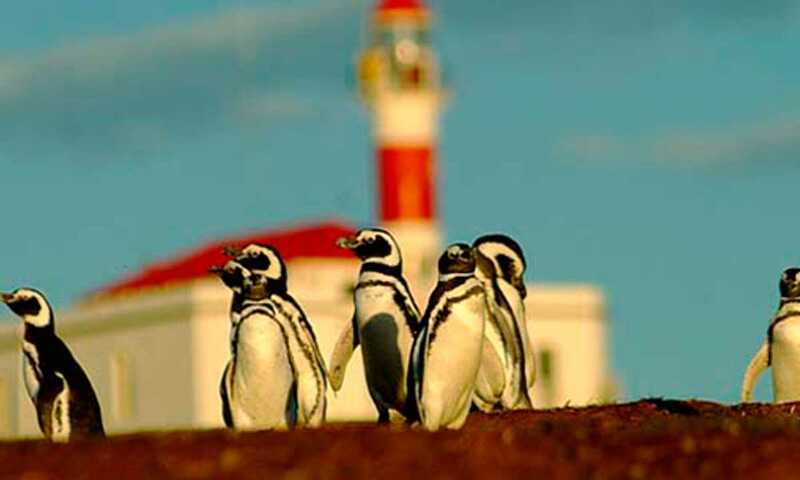 Located in the Magellan Straits, this island is home to a huge colony of Magellanic penguins who come here to breed, nest and feed throughout the year. A popular spot on many Austral adventure cruises, this island allows you to get up close to the penguins before arriving in Ushuaia, the southernmost city in the world. In the past the island was an essential source of supplies for navigators and explorers, hence the seaside red and white striped lighthouse which still guides today's ships through the Magellan Straits. Find out more about how to see Penguins on this island!